At Freedom Dental, we do understand how unsettling it is to loose one or more teeth. Our dentists can soon restore the appearance of your smile with a partial or complete denture. Losing your natural teeth at any age can be an emotionally experience and as we get older many people are likely to lose more than just one tooth. Fortunately, there are solutions to replacing missing teeth such as dentures which now look more natural than ever before and also fit more comfortably enabling you to smile, eat and speak with confidence. There are a number of different denture systems available and at Freedom Dental we will discuss and advise you of the right dentures for your needs. Denture technology has improved greatly over many years and are now far more stable. Our dentists have the skills and experience to craft each denture specifically to fit you perfectly and they can also be toned and graduated to appear completely natural. Whilst acrylic and metal dentures are available on the NHS you may prefer to choose to have this treatment done privately as we can use more aesthetically pleasing materials and the technician who creates your denture will be highly skilled and experienced. At Freedom Dental we are pleased to be able to offer VALPLAST flexible dentures as an alternative to acrylic or metal partial dentures. 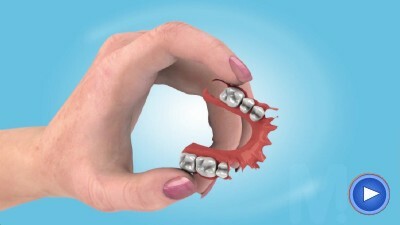 These dentures are extremely light weight, secure and un breakable!. Follow this link to see all the benefits of these amazing and natural dentures. Every case is different depending on the complexity of the treatment. After an initial consultation and examination we will have to take impressions of the mouth including bite registration in order for us to create the right fitting denture. A number of visits may be required to review and adjust the fitting of your new dentures. New dentures always feel strange when first fitted and may take a while for you to get used to them. Gum tissues also undergo changes constantly so we will need to adjust them at a later stage to ensure they still fit comfortably and function as they should. We recommend check-ups at least once a year and check the health of your mouth as well as the wear of your dentures. Dentures are usually made of acrylic and do not require permanent fixtures so they are removeable. We recommend cleaning your dentures regularly, ideally after every meal if possible, and use a denture brush with the right cleaning products which are available at most chemists or supermarkets. Special tablets are also available to help clean them overnight. For more details about partial and complete dentures, please call Freedom Dental on 0161 486 6821 or click here.